In 1945 the forgotten Serbian World War II Hero Walter got killed while defending the occupied city of Sarajevo in Bosnia and Herzegovina. 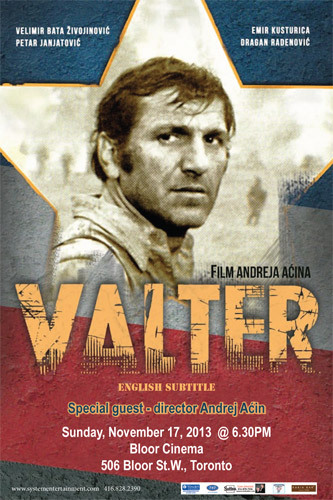 In 1972 the actor Velimir Bata Zivojinovic changed the history of China portraying Walter in a Yugoslav partisan movie. 13 billion people saw that film until today. Who is Walter?